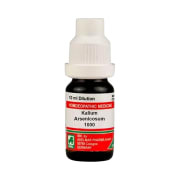 Also known as Fowler's solution, this remedy is used for all cancerous and stubborn skin illness. Good remedy for pimples, chronic eczema, psoriasis, fissures at the knees and elbows. Also known to treat skin cancers, ulcers, overgrowths in the uterus with bad smelling discharges. Complaints are usually worse from warmth. 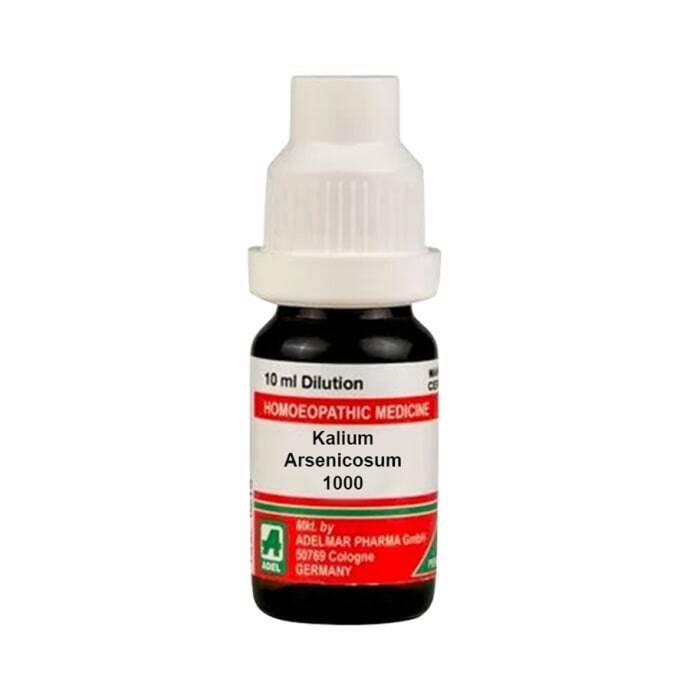 A licensed pharmacy from your nearest location will deliver ADEL Kalium Arsenicosum Dilution 1000 CH. Once the pharmacy accepts your order, the details of the pharmacy will be shared with you. Acceptance of your order is based on the validity of your prescription and the availability of this medicine.